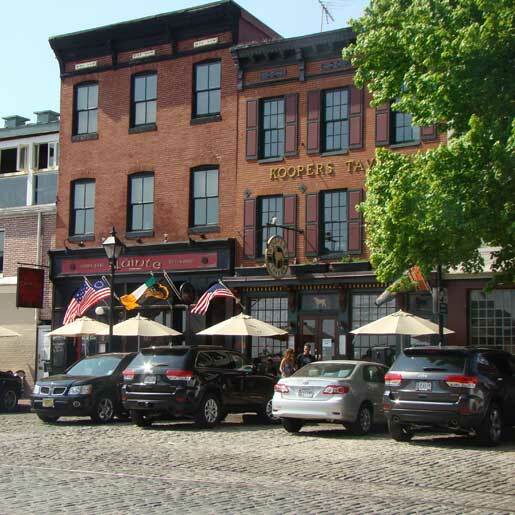 Welcome to Kooper’s Tavern, a classic American establishment, located on the waterfront in Historic Fell’s Point. We offer lunch and dinner 7 days a week and City Paper’s Best Brunch on weekends. You will find great food and drink with an extensive wine & beer selection, featuring over 100 selections of beer from all over the world, along with excellent service! Our menu has something for everyone.Whether you want a steak and a bottle of red, Baltimore’s Best burger and a beer, fajitas and ritas, or omelets and a spicy bloody Mary brunch, we’ve got it all. We built Kooper’s Tavern on the reputation of great food with excellent service and plenty of libations to go around. If you are looking for a place to host a party, no matter what the occasion, we will make it the perfect place.